Our much-loved New Year events are a great opportunity to meet new people and catch up with old friends. Therefore, dress up and join us in Middlesex and have a fun night out welcoming in 2020! Try your hand at the casino tables, complete with ‘funny’ money, and try work out the tricks of the Table Magician. This is in addition to the ever popular Solos disco seeing in the New Year with something sparkling! It’s time to party! Be sure not to miss our revamped and entertaining New Year. This year following great feedback, the additional entertainment is back as well as the firm disco favourite. Try your hand at the fun casino tables complete with ‘funny’ money as well as try and work out the tricks with the Table Magician. The menu will now also include, as well as canapés, an additional course. Join us at the Crowne Plaza London Heathrow and our exclusive black tie ball, one of our favourite Solos venues. 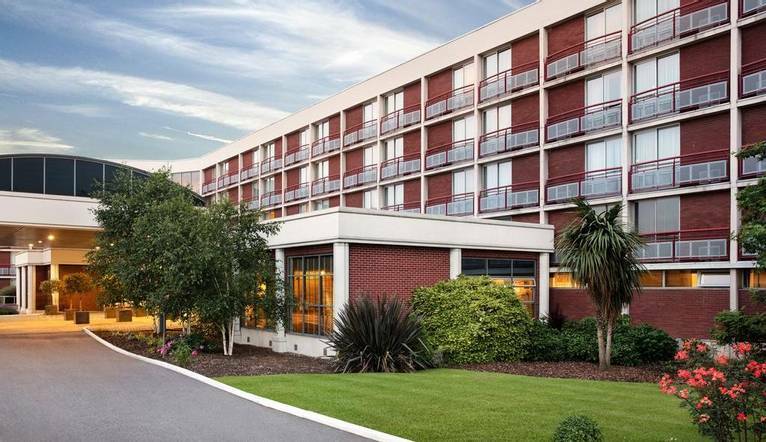 This modern 4 star hotel is conveniently located close to the M25 and M4 and offers spacious, contemporary accommodation. The 4-star Crowne Plaza Heathrow has a leisure club with an indoor pool, two stylish restaurants and a 24-hour front desk. Free WiFi is available throughout. The stylish rooms have air-conditioning, tea/coffee-making facilities, a hairdryer, iron and minibar. Crowne Plaza Heathrow is located close to Junction 15 of the M25 and Junction 4 on the M4. Car parking in complimentary and your car details will need to be registered at Reception upon arrival. The nearest station is West Drayton Mainline Station which is a 10 minute drive away.